Check out as a brawl broke out in the crowd during this past weekend's Bare Knuckle Fighting Championship 5. Over the weekend, Bare Knuckle Fighting Championship 5 had a lot of eyeballs on them. Former UFC stars Artem Lobov and Jason “The Kid” Knight main evented in an epic back-and-forth slugfest. However, it turns out a brawl erupted outside the ring as well. 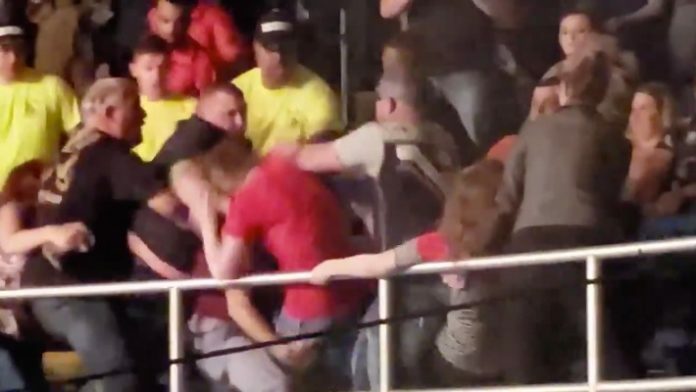 fight that broke out in the crowd at bkfc5. What do you think about the brawl that broke out during BKFC 5 this past weekend?